Especially for swimming tours, our destinations feature heated pools of 50m and 25m, both indoors and outdoors and climate conditions ideal for your tour on a year round basis. Top water polo coaches and players choose our programs for the training camp of their teams. Unique facilities and a large range of services will provide an integrated training for your team. Individual players may choose to enroll in a training camp organized by renowned coaches in our facilities. Ideal destinations for Open Water Swimming year round, taking into account weather and climate conditions plus the safety measures and the support services needed for the sport. 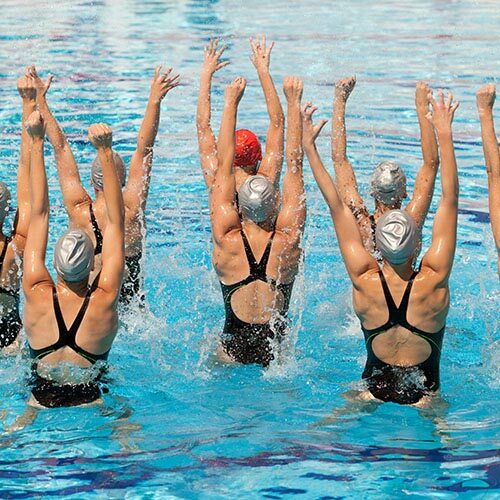 The French National Team of Synchronized Swimming, amongst others, entrusted us with their high standards training program to be performed in our facilities. This specialized form of swimming is best conducted in designated aquatic centers and we can offer our expertise on venue and equipment selection. 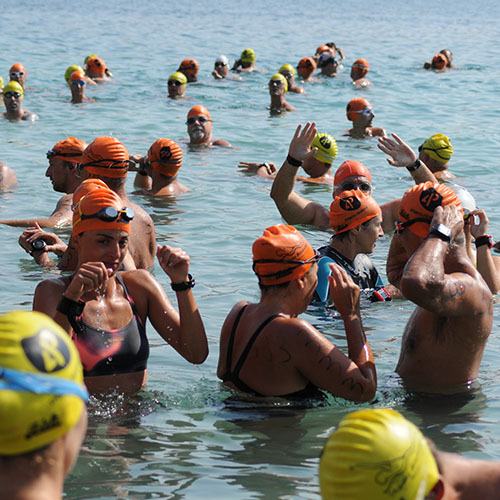 Extraordinary swimmers against the elements of nature in ideal weather and climate conditions A Greek Marathon is always an adventure worthy of attendance.